Brandon Saad's draft year did not go as expected with injuries and a slumping team. The prospect from Pittsburgh, highly touted going into the 2010-11 Ontario Hockey League season, fell out of the first round, all the way down to the No. 43 pick. The Chicago Blackhawks now consider themselves lucky to be the team that nabbed him two summers ago because Saad, who blossomed last season with 76 points in 44 games, projects to be a player for them this season. 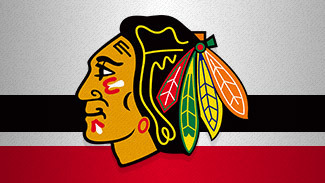 "You've gotta earn that, but he's bigger, he's stronger, he's faster," Blackhawks coach Joel Quenneville told NHL.com. "He's a good hockey player. The puck just follows him around. He's the key (to our prospects)." Saad headlines a forward-heavy yet potential-laden group of prospects currently being groomed by the Blackhawks. He may be the gem of the group right now, but the Blackhawks believe they have filled their pool of prospects with an array of talent that includes guys with high levels of skill, high levels of grit, and high levels of coach-ability. Brandon Saad, who played in two regular-season games and two postseason games for Chicago in 2011-12, is among the many forwards on the organization's list of its top 10 prospects. 1. Brandon Saad, LW: Saad, 19, made the Blackhawks' final roster out of training camp last season, but he played in two games before getting shipped back to his Ontario League team, the Saginaw Spirit. Chicago made him the No. 43 pick in 2011, but Saad has shot up the depth chart and after he put up 76 points in 44 games for Saginaw last season, the Hawks brought him back for the Stanley Cup Playoffs. He played in two games and is expected to push for a full-time roster spot this season. "I think he could have played (with the Blackhawks) last year and he would have had a very good year, but in the big picture for Brandon I think it's going to turn out to be the right decision," Kelley told NHL.com. "The nice thing when you went to see him play last year is what he did when he was on the ice defensively, the little things that don't come up in the stats. He's one of those players that coaches love, and that makes it easier for any player." 2. Brandon Pirri, C: The 21-year-old former second-round pick in 2009 has played in six games over the last two seasons with the Blackhawks, but has spent most of his time in the American Hockey League with the Rockford Ice Hogs. Pirri led Rockford with 56 points in 66 games last season after putting up 43 points in 70 games in 2010-11. "He was really just a 20-year-old and he led the team in scoring and probably one of the things we liked about him is he was a plus-player," Kelley said. "He did an incredible amount of work in the summer time last year and we're anxious to see how it goes this summer. You could see it in his endurance and his foot speed. We're very high on him. He is a centerman with great hands and vision." 3. Jeremy Morin, LW: A second-round pick in 2009 by Atlanta, Morin has played in 12 games with Chicago over the past two seasons. He had 40 points in 69 games last season after putting up 12 points in only 22 games in 2010-11 because his season was cut short because of a concussion. "I think last year it was a little bit of getting over that concussion and what have you, but with anyone with a concussion you have to be patient," Kelley said. "When it's a year out, that's when you can see are they back. We're high on Jeremy because not only is he gifted offensively, but he plays incredibly hard. He has that sandpaper. He plays with an edge." 4. Phillip Danault, RW: Danault, a first-round pick in 2011 (No. 26), played in seven games for Rockford last season after putting up 71 points in 62 games for Victoriaville in the QMJHL. He will return to Victoriaville this season with the hope of playing for Team Canada at the 2013 World Junior Championships. "Coaches love him because of the way he plays the game and it's probably the intangibles that stand out," Kelley said. "From a distance, looking at stats, they don't jump out, but when you dig deeper you see he wins faceoffs, wins battles, and he's most likely to lose a tooth in a game and get back in it with a smile on his face." 5. Teuvo Teravainen, C: Chicago's first-round pick this year is expected to be one of the top players for Jokerit in Finland's top league, SM-Liiga. Teravainen, the No. 18 pick, starred at the Blackhawks prospect development camp last month -- and he's still only 17 years old and 165 pounds. "It's the pure skill," Kelley said. "He came to our development camp and a lot of people left with their jaws hanging down. We'll see in the next year-and-a-half how strong he gets. His lower body is very strong. He needs the upper-body strength. He's in Jokerit for the year and for a player like him it's a year by year. He would be the guy that would have the possibility to go right to the NHL because his skill set is so high." 6. Kyle Beach, LW: Despite the fact that he still hasn't played in a NHL game after being the No. 11 pick in the 2008 draft, the Hawks remain high on Beach with the hope that he will stay healthy and show maturity this season. He started strong last season, but a shoulder injury derailed him and he wound up with only 10 points in 19 AHL games. He had 36 points in 71 games the prior season. "Where we drafted him, people have the tendency to have higher expectations, but we have the patience that comes with it," Kelley said. "Last year, we were expecting for him to have a big year. The way the year started it started very good, and then the shoulder injury happened. What he offers is he's very, very hard to play against. When he's on the ice, the other team isn't quite sure what is going to happen. He has to mature, so a lot of the onus on what we are going to see this year is how much Kyle has matured and how ready he is after the summer." 7. Adam Clendening, D: A second-round pick in 2011, Clendening projects as a puck-moving, power-play defensemen in the NHL. He will likely make his pro debut in Rockford this season after playing two seasons at Boston University. Clendening was a first-team Hockey East All-Star last season, when he had 33 points in 39 games. "His ice time was probably about 27 to 28 minutes a game," Kelley said. "He's a puck-possession defenseman and he can create when he has it." 8. Kevin Hayes, C: The younger brother to Blackhawks forward Jimmy Hayes is still a 20-year-old project, but the Blackhawks expect to see Hayes take a big step this season, his third at Boston College. The first-round pick in 2010 had 28 points in 44 games as a sophomore. "He is two years out of high school hockey in Boston and he's come a long ways," Kelley said. "When we drafted him we knew he was going to be a little bit of a project, but just watching the way his body has developed, the way he has matured -- he was the No. 2 center on the NCAA championship team and our expectation with him is this is his chance to make a statement and make it his team. We don't want to have to tell you what his number is; you should be able to find him." 9. Mark McNeill, C: McNeill has 152 points in 139 games with the Prince Albert Raiders of the Western Hockey League over the last two seasons. He will return to the WHL this season and the hope is that he starts to answer some of the questions the Blackhawks still have on him. "He is either a center or a right wing in the NHL," Kelley said. "He's a big, strong kid and he plays with power. He has a little bit of an edge. What we're waiting to see from him is what the skill level is. Is he going to be a second-line player or is he going to be a third-line player?" 10. 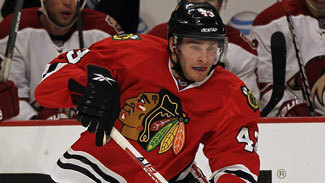 Stephen Johns, D: Johns, who plays at the University of Notre Dame, is a 6-foot-4, physical, stay-at-home defenseman. The Blackhawks like him because he plays with an edge. He's not a big-time point producer (he has only 23 in 83 NCAA games), but he is easily Chicago's top-ranked stay-at-home blue-liner. "He has a physical presence and he initiates engagement," Kelley said. "The best way to describe him is the opposing team is looking over their shoulder even when he's not on the ice just to make sure he didn't get back out there."